What is the difference between pre-qualification and pre-approval? What is the difference between pre-qualification and pre-approval? 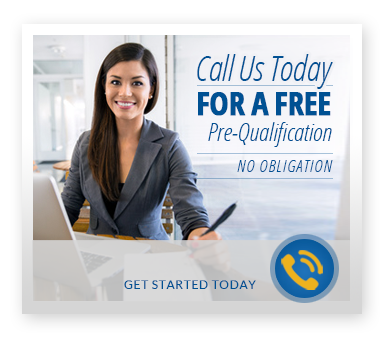 Pre-qualification is an assessment by the lender, based on certain basic information given by the borrower, usually employment history, income, asset information, current monthly debt, and credit worthiness. Based on this quick evaluation, the lender makes a tentative decision to pre-qualify the borrower for a certain loan amount. A pre-qualification works to form an opinion for the lender. This is not a commitment to the applicant. Like a pre-qualification, a pre-approval involves a lender making an assessment of a borrower’s buying capacity based on her or his income. But unlike a pre-qualification, a pre-approval letter also checks the applicant’s credit and is a more solid verification of a borrower’s income. A pre-approval takes longer to process and will require more comprehensive documentation, but gives a clearer and more definitive guarantee of the loan amount a borrower is entitled to. We encourage all of our clients to apply for a pre-approval in order to make them the strongest possible buyers. Desirable properties can sometimes come on to the market and sell very quickly. We want our clients to be able to approach a seller with every possible advantage. Contact Premier Funding Network at 714 283-9900 and let us get you pre-approved and ready for the big step into home ownership. Does my credit have to be perfect to qualify for a loan? Does my credit have to be perfect to qualify for a loan? A high credit score will earn you better interest rates and present a greater number of loan options. Some credit issues in the past will not necessarily disqualify you from getting a mortgage. Lenders will look for a credit history that proves a willingness and ability to repay the loan. What is the difference between APR and interest rates? What is the difference between APR and interest rates? The interest rate is the cost of borrowing the principal loan amount. It can be variable or fixed, but it’s always expressed as a percentage. The APR is a more comprehensive measure of the cost of your mortgage because it includes the interest rate, as well as other costs associated with the loan, such as broker fees, discount points and some closing costs. A good way of looking at it is that the interest rate specifies what your actual monthly payment will be and the APR calculates the total cost of the loan. When am I committed to borrow? When am I committed to borrow? Some buyers feel like once they have signed the application, they are obligated to borrow. That is not the case. Throughout the loan process, none of the documents that our clients receive are contractual until they are actually at closing and formally signing the note. Signing a loan application is simply a way to get financing approved so buyers are in a position to make an offer, purchase a home and then close the home loan. Homebuyers are not obligated for the loan transaction until the closing documents are signed. What are mortgage points or discount points? What are mortgage points or discount points? For example, if your loan amount is $100,000, then one point would equal $1,000 OR one percent. Discount Points are fees paid by the buyer to the lender in order to reduce the loan’s interest rate. If you plan to keep your residence for five or more years, it may be worthwhile to pay discount points up front to reduce your monthly payment and achieve greater interest savings over the life of the mortgage. In most cases, points are tax deductible when applied to the purchase of a primary residence. Consult your tax advisor for more information on tax deductibility. What are appraisals and surveys? What are appraisals and surveys? An appraisal is the standard way to estimate of the value of the home you are purchasing. Professional appraisers are trained in estimating the value of real or personal property. A copy of the appraisal will be provided to you at closing. Surveys are utilized to determine whether there has been an encroachment on the property lines, building lines or easements. If your home is new construction, the builder may order the survey just after completion or just before closing. Older homes may have issues with fences or building additions. Mortgage surveys are not always required, but may be specified under some conditions by the lender. What does the term “market value” mean? What does the term “market value” mean? Market value is the likely selling price of a home with a willing buyer and a willing seller on the open market. The location and condition of the property can affect the market value of the property. What does the term “lock” mean? What does the term “lock” mean? When a lender “locks” the interest rate, a homebuyer is guaranteed a specific interest rate for a specific period of time. That period of time is called the lock period. Typical lock periods are 15, 30, 45 and 60 days. In a stable rate environment, shorter lock periods generally provide a better interest rate. The lock guarantees the interest rate as long as the loan closes and funds prior to the expiration date of the chosen lock period. If a buyer’s closing is delayed beyond their lock expiration date and rates rise, the buyer may have to pay higher market rates. We usually advise our clients to lock for a period longer than is needed. In other words, lock for a period beyond the actual projected closing date. This will protect against any unforeseen circumstances that could delay the mortgage closing. What are closing costs? What are closing costs? Closing costs can include items like title insurance fees, attorney fees, pre-paid interest and documentation fees and various other fees. Closing costs can differ for each borrower due to differences in the type of mortgage, the property location and other considerations. 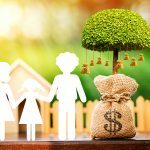 What is an escrow account and how does it work? What is an escrow account and how does it work? An escrow account can be created to ensure that real estate tax and insurance bills are paid in full and on time, without the borrower having to save large amounts of money and keep track of various due dates. An escrow account is a separate account that the lender sets up to hold the money it collects each month for real estate taxes, homeowner’s insurance premiums, and if applicable, flood or mortgage insurance. The lender determines the estimated annual real estate taxes and insurance premium expenses and divides that amount by 12. This amount is added to the monthly mortgage payment. The borrower’s real estate and insurance bills are sent directly to the lender and they are paid with the escrowed funds. Many borrowers find this to be a more convenient way of paying necessary costs. Is the interest I pay tax deductible? Is the interest I pay tax deductible? In most cases, the interest paid on a primary residence loan can be used as a tax deduction. All borrowers should consult with a tax advisor to find out whether the mortgage interest will be tax deductible in their situation. What is Closing? What is Closing? Closing on your mortgage is the last step in purchasing your home. Once the closing process is completed, you become the legal owner of your home. Your Realtor will give you instructions on where the closing will be conducted, along with a phone number for the closing attorney or agent in case you have any questions for him. Your Premier Funding Network broker will make sure that all documents are in order for a smooth closing. The closing agent reviews the HUD-1 Settlement Statement with both you and the seller. Evidence of required insurance and inspections are presented. Signatures are collected for loan documents including the HUD-1, mortgage or deed note and the Truth-in-Lending statement as well as other associated mortgage documents. You submit a certified or cashier’s check to cover your specific down payment and agreed closing costs. Or, in some proceedings, money is drawn from an escrow account established for your home purchase. The Lender provides a check to the closing agent to cover the home loan amount. If your monthly payments are to include property taxes and insurance, a new escrow account (or reserve) is established at this time. The final step is the best step- receiving the keys to your new home. For more in-depth explanations of mortgage loans and the loan process, contact your Premier Funding Network specialist at 714 283-9900. We would be happy to discuss your home purchasing or refinancing loan questions. The goal of home ownership may be more attainable than you think. Give us a call and lets get the ball rolling.